Robert E. Barsley, DDS, JD is a 1977 graduate of the LSU School of Dentistry and a 1987 graduate of the Loyola University School of Law in New Orleans. He was admitted to the bar in Louisiana in 1987. He joined the faculty of the LSU School of Dentistry in 1980, advancing to the rank of Professor. He currently serves the School of Dentistry as Director of Oral Health Resources, Community and Hospital. He is a fellow of the American College of Dentists, the International College of Dentists, the Pierre Fauchard Academy, and the Odontology Section of the American Academy of Forensic Sciences. He has also served as a Robert Wood Johnson Foundation Congressional Health Policy Fellow in the office of Senator John Breaux. He is currently the President-elect of the Louisiana Dental Association. He has served as a consultant to numerous coroners offices in southern Louisiana and is on staff at the Orleans Parish Coroner’s Office and the Jefferson Parish Coroner’s Office. As a member of DMORT Region VI, he served an extended tour of duty in the dental section of the hurricanes Katrina and Rita morgues in St. Gabriel and Carville, Louisiana. He was a co-chair of the Odontology section of SWGDVI. Dr. Barsley has also served as Acting State Dental Director of the Louisiana Office of Public Health and as the Chief Compliance Office for the LSU Health Sciences Center. 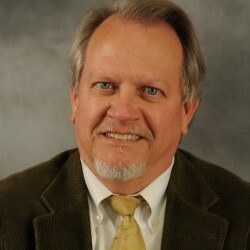 He has held numerous officers in various forensic organizations and is a Past-President of the American Academy of Forensic Sciences, past Treasurer of the Forensic Science Foundation, and is a Past-President of the American Board of Forensic Odontology and of the American Society of Forensic Odontology. He was named by NIST to chair the Odontology Subcommittee of the Organization of Scientific Area Committees under the auspices of the Forensic Sciences Standards Board. He is a former Magistrate Judge for the Ponchatoula City Court.